Mountain Home, AR (October 4, 2017) –- The 2017 Bassmaster Tournament Trail was dominated by youth from start to finish, with Millennials winning both the Bassmaster Classic and the Angler of the Year award, but no other pro – veteran or newcomer – matched the achievement of Alabama rookie Jesse Wiggins, who triple-qualified for the 2018 Bassmaster Classic. Wiggins, who will turn 28 on October 11th, accomplished that feat by winning the first and last Southern Opens of the year, and squeezing in a 37th place finish in the Elite Series points race in between. He finished in the money in six regular season Elite events plus the Angler of the Year Championship. Making his feat all-the-more incredible by winning the season-opening Southern Open on Florida’s Harris Chain of Lakes, Wiggins qualified for the 2018 Classic before he’d even fished the 2017 Classic. With 21 B.A.S.S. tournaments under his belt, he has finished in the money on 16 occasions, with three wins. He also had a 3rd place finish in his inaugural Elite Series tournament, on Tennessee’s Cherokee Lake. 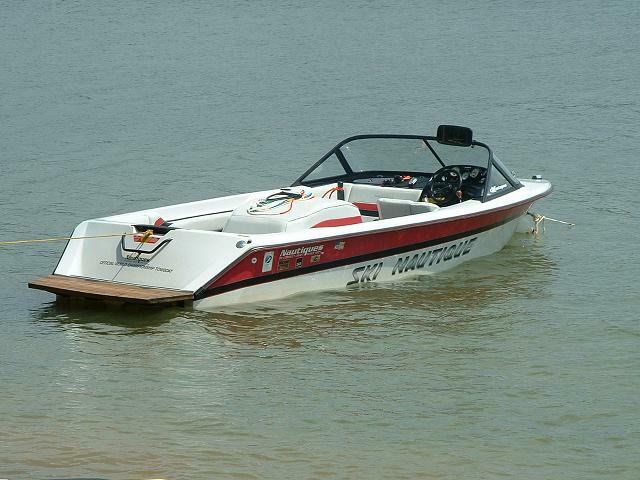 The Puma FTD also gave him the confidence to make long runs through rough water, not only on southern reservoirs like Ross Barnett, but also on big northern lakes and rivers the likes of which he had not previously experienced. By winning the final Southern Open of the year, again on Smith Lake, Wiggins helped another Alabama Bass Cat pro, Steve Kennedy, who until then was the first man outside of the Classic cut. Kennedy’s no rookie, with eight Classics and over $1.6 million in B.A.S.S. 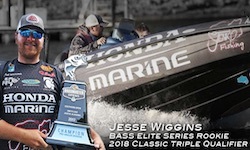 winnings to his credit, but it was likewise his first year in a Bass Cat, and he made good use of it by earning his third Elite Series win, this time at Lake Dardanelle in Arkansas. Because of his own solid fishing and the boost from Wiggins, he’ll head to his ninth Classic looking to improve upon his 2nd place finish from this past March. “To have him put Steve Kennedy over the line and into the Classic, that’s just the icing on the cake that shows how valuable Jesse can be to our team,” Pierce concluded.